Personalized Retractable Metal Pens on Sale. Hamilton brand. 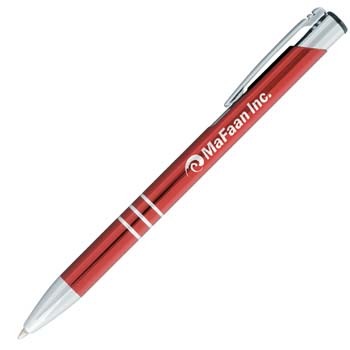 Bulk discount metal pens, personalized with your custom imprint or blank. Best price in USA and Canada for wholesale promotional metal pens. Free artwork design and free proofs!